Afro National - African Experimentals (1972-1979. Vinyl LP. Bleep. The crate-diggers at Africa Seven - the label responsible for excellent reissues from the likes of Charly Kingson and Manu Dibango - unearth some more rare gold here. Throughout the 1970s Afro National were a popular group in their native Sierra Leone. Led by husband and wife duo Patricia and Sulay Abu Bakarr, the band fused jazz and Hi-Life sounds with some of the psych-rock offshoots springing up across West Africa. 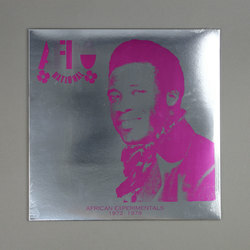 This new compilation African Experimentals (1972-1979) combines some of their most popular tunes - ‘Sonjo’, for instance, although the version that appears here is an alternate recording - with deeper cuts.